Farmers’ markets are the best. Don’t you agree? I can’t think of anywhere I’d rather be at 10am on a Saturday. Ok, maybe being served breakfast in bed, but I’d be pretty cranky if I had to wait until 10am for breakfast. 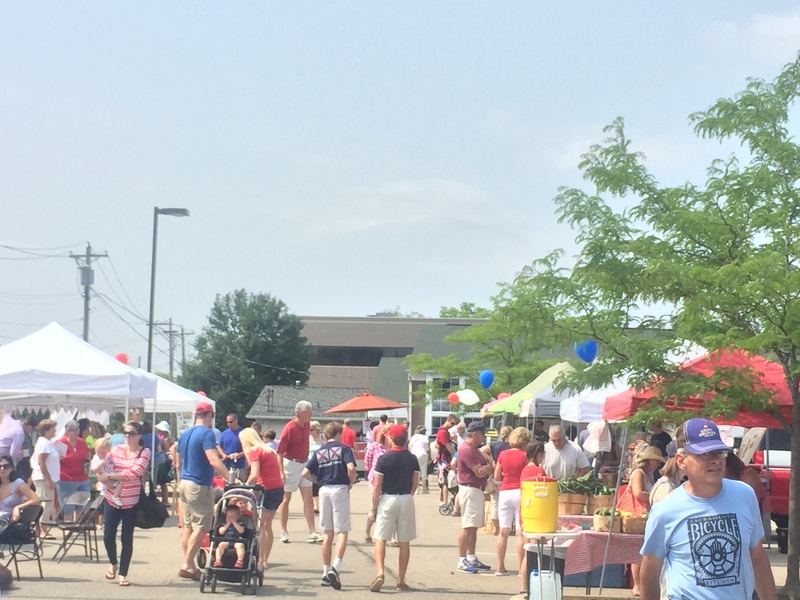 My farmers’ market has the best people, the best location, and the best atmosphere, and I’m not at all biased (obvs). Alright, I’m a little biased because I’m a volunteer board member who helps make it the best of everything. But I’m not the only one who says so! Vendors have told me that we are their favorite market. And I didn’t have to pay them to say it! I also love farmers’ markets in general. I worked at one in Baltimore, MD back when I was in graduate school at Johns Hopkins. Baltimore’s market was a huge, 100+ vendor sea of humanity every Sunday morning. I wouldn’t shop unless I got there within the first couple hours because it turned into such a cluster of strollers, Radio Flyer wagons, and lines of people waiting at booths. Now I visit my local market with about 25 vendors. We have one big aisle that can easily accommodate lines, strollers, wagons, and folks walking through in a hurry. There is space and the invitation to sit and stay for awhile. Chat with new friends. Enjoy the live music. Drink a cup of locally roasted coffee while nibbling on a locally made croissant. I am no longer one of the folks in a hurry to get my goods and get out. A trip to the market takes me at least an hour, but I wouldn’t have it any other way! I leave feeling refreshed and good about the money I spent and put back into my local economy, supporting local businesses and farmers. When I get home, I have the opportunity to create beautiful meals for my family. 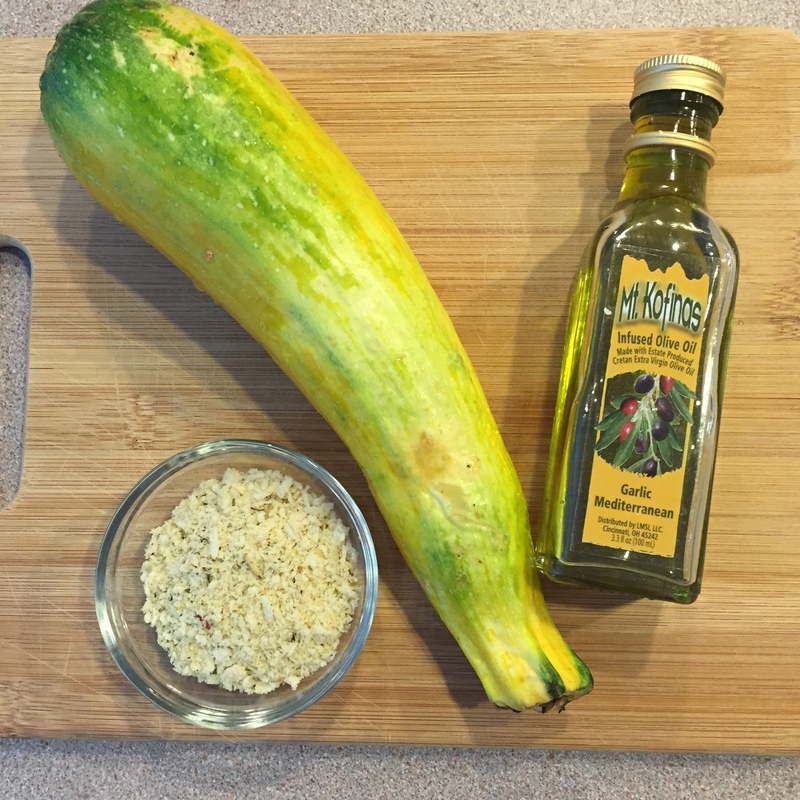 Here’s a simple recipe for summer squash, which are so bountiful this time of year! The recipe can easily be adjusted for the amount of squash you have on hand. 2. Add olive oil to the bottom of a baking dish. I used a glass one. 3. 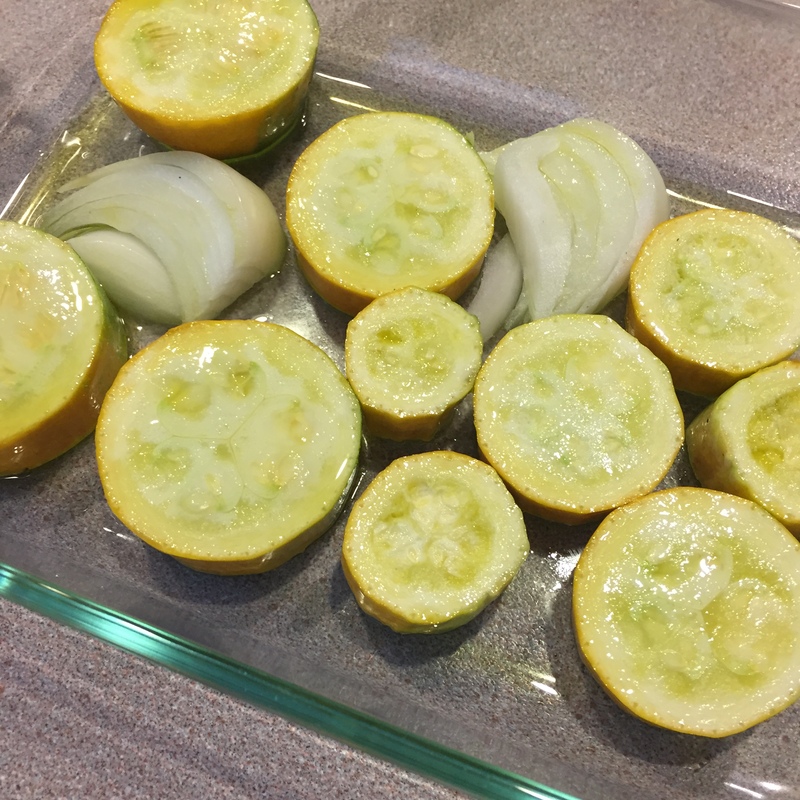 Cut your squash into 1/2-1 inch slices. I also added a little onion because I like roasted onion, too. 4. Add the squash slices to the pan and use them to spread the oil around to coat the bottom of the pan. Flip each slice so that both sides get some oil on them. 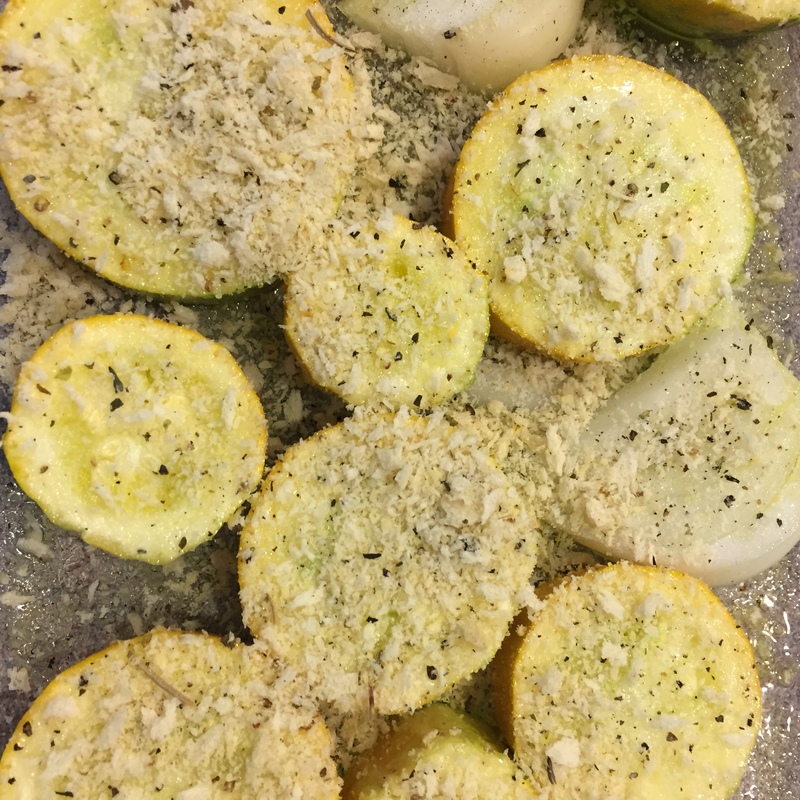 Top the squash with salt, pepper, and breadcrumbs. 5. 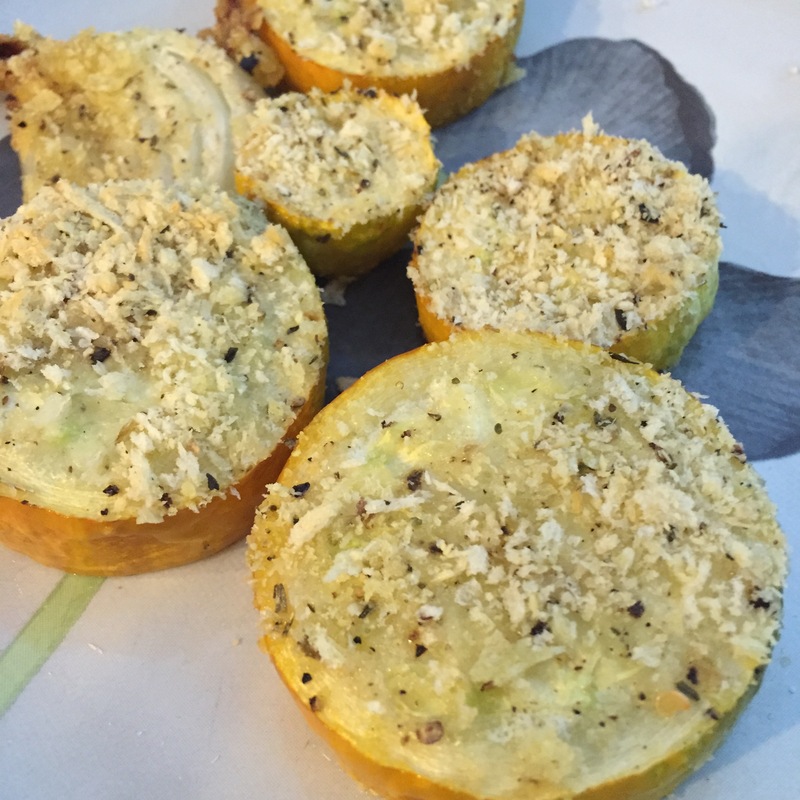 Bake the squash for 45-60 minutes.